Good morning lovelies! My house is still, so I was able to get on the computer and take a little time for reflection. I love HHM. It is a great way to be still, think, and plan out my week. I hope you are all having a great Monday! This week's menu plan is live as well. You can find the printable recipes HERE. Listening to my hubby getting ready for work and the boy sitting next to me. What to do about next week. Hubby has a full week off and I want to make it a good one. Some fun family nights are definitely in store. A friendship bracelet making kit. I'm helping the little Miss with some of her crafts. I also have a mouth guard (I am a horrible teeth grinder at night) and some new books I got from the library. I can't wait to dig into them. Man Up. Have you guys seen that one? Hubby found it on Hulu and it is so funny! We have been laughing our butts off. We also have some Chicago Fire to catch up on. Quiet. The boy is reading next to me, the Miss is still sleeping, Hubby just left for work, and all is quiet. This is a special moment...soon the house will be abuzz with action. I am relishing in this moment of peace and stillness. I made up this weeks menu plan, but I think I am going to move the days around a bit. Spaghetti and meatballs sounds yummy! Oh with some bread sticks too! Ballet and wrestling for the kids, library for those book nerds I'm raising (and for this book nerd too), take the car to the mechanic, indoor pool, and plan for a quick family getaway to visit family at the end of the week. Absolutely nothing. I really need to get some inspiration going. Any ideas? I took a little bit of time yesterday and tidied up, so the house isn't too bad. Taking just ten minutes at the end of each day makes my mornings that much better! I love not being greeted by a mess each morning. "It is what it is". This is hubby's favorite phrase, used for when something is out of our hands. He doesn't sweat the small stuff. Sometimes this drives me batty, but this week I have found comfort in it. We can't change peoples minds or behaviors. "It is what it is". We can move on and just continue to be Christ like in all that we do. Hopefully that example will brings others poor attitudes around. 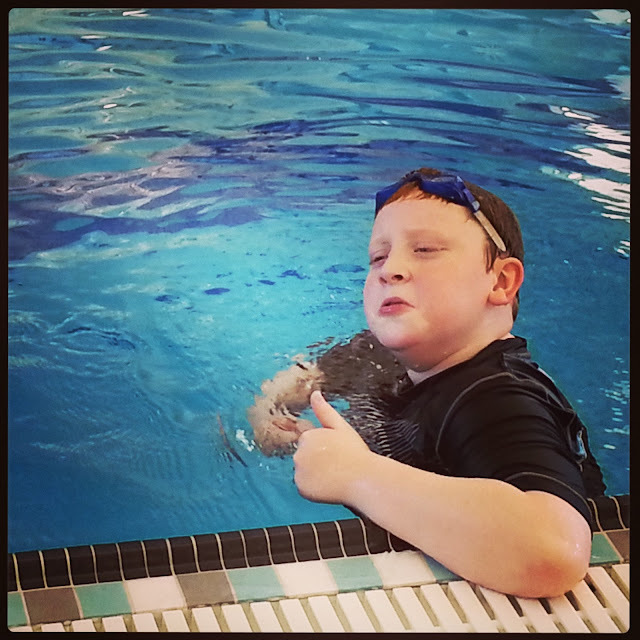 No it is not that warm here in Vegas yet, but we do have an indoor pool near by. My hubby. He has a big test this week at work. My littles as we continue with school. My sisinlaw who is very pregnant (4 more weeks to go). I pray for a safe delivery and a bit a comfort as she finishes this pregnancy. The last few weeks are the worst. The wait and the fact you can't breathe, due to little feet kicking you in the ribs, is killer. I can't wait to meet that little munchkin! What a lovely collection of reflections. Laundry is ALWAYS on my to do list. It never stops. I enjoy these Monday posts! 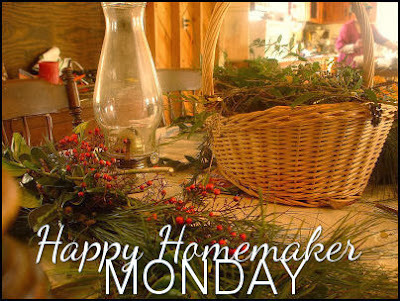 I do enjoy your Happy Homemaker Monday posts! Have a really great week with your husband and family! Thanks so much Deb! You too! You're welcome! I think it is one of the hardest things to learn, but is something I am really working on.